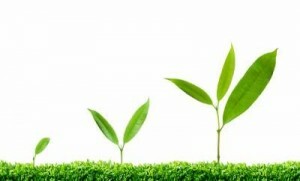 Growth … spiritual growth, personal growth, professional growth, relational growth, emotional growth, and on and on it goes! For those folks who focus on continuous growth and development … I have a question for you. Like me do you ever feel like you have some place, some next level, or some new insight to gain. Is it that new book you have to read, yes the book someone mentioned in passing the other day. So we bought it, started reading it, got halfway through it, and then put it on the stack of half-read books? Why? Because somebody else mentioned a different book! Don’t get me wrong growth is an integral part of my life in every aspect. Recently I was thinking about something even more valuable and precious than growth. Happiness! After all isn’t the ultimate goal of growth and learning to be happy, to find joy and contentment in this life that we seek? It has led me to thinking these thoughts … as over-shared or as over-spoken as they may be! Life is a journey that begins and ends in the same place for all of us … enjoy the journey! Success does not equal significance … if you had to choose today at this moment in time, which would you choose … remembering that all the growth in the world isn’t going to make you happy. PreviousPrevious post:About Growth …NextNext post:Got Emotional Intelligence?